Perfect for sweet tooths and savoury lovers alike, it seems that salted caramel is STILL all the rage these days. After making caramel the traditional French way for a while, I decided it was time to try the shortcut method. So here’s a super duper easy salted dulce de leche step by step! It’s great for caramel slice, caramel tarts, caramel cake filling, a yummy spread on toast or just licking it straight off the beater! 2. Cover the cans with at least 1-2 inches of hot water. on high setting. Simmer for 2-2.5hrs. The beauty of a slow cooker means you can set it and still go out, run errands and come home to a job done without a risk of a fire in the house! Note: the can labels will come away after a minute or two – just use some tongs to fish them out. I used Carnation brand skim condensed milk for a healthier option but full fat tastes even better. 3. Watch out for explosions when opening the cans! Ring pull cans are much easier to open. Use a tea towel or oven mitt to protect your hands as the can will be hot! 6-8. 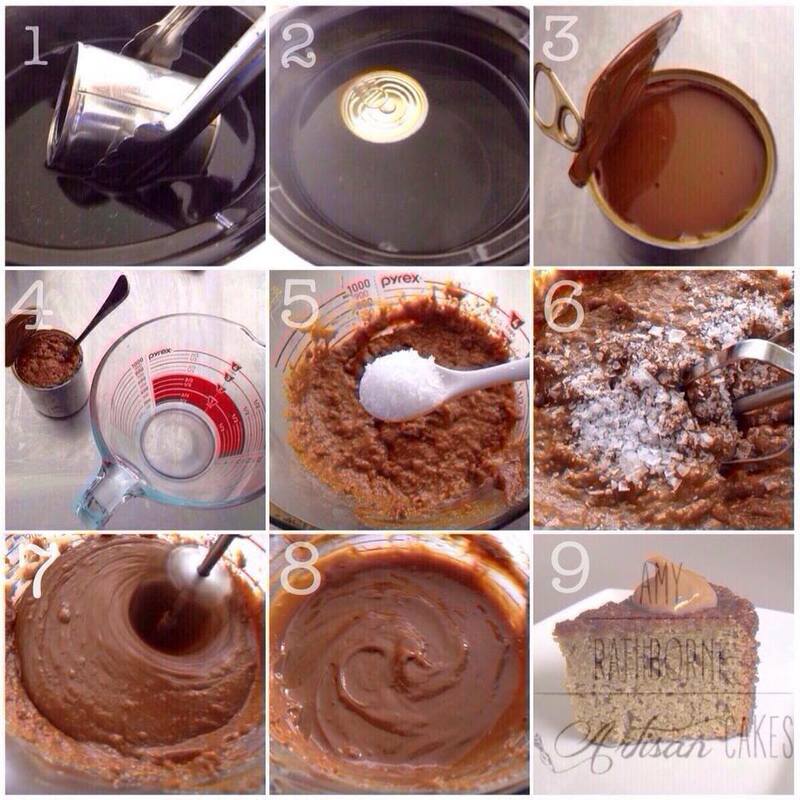 Use a single beater hand mixer and beat til the caramel looks glossy. Best to mix the salt in when caramel is warm to dissolve the salt. Credit: Recipe Adapted from Sharon Wee Creations fab new book Adorable Cakes for All Occasions!